Ever wondered what happens to your clothes once you’ve put them into a recycling bank, or into your local charity shop? 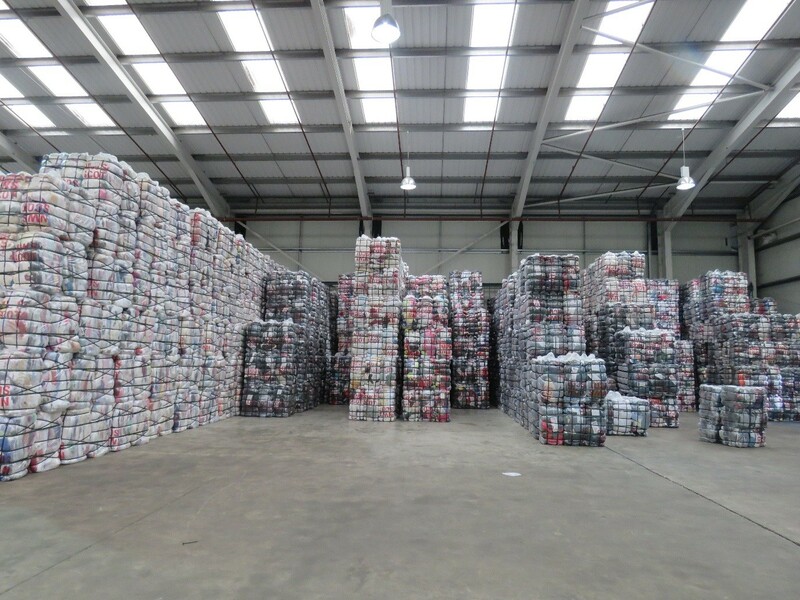 This week some of us from the University’s Environment Team and Transition St Andrews went to visit Nathan’s Wastesavers, one of the UK’s largest textile recycling companies based just outside of Falkirk. 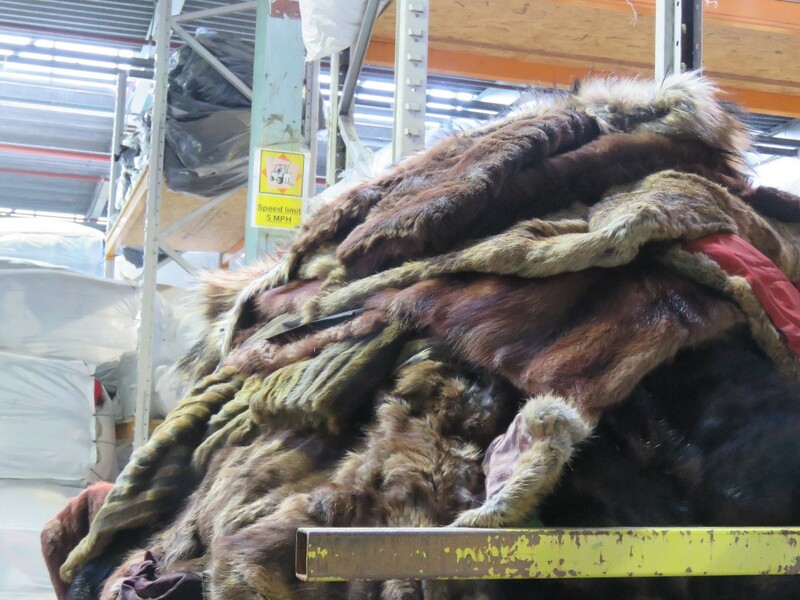 It was an eye opening experience not only to see the volume and scale of textiles the company deals with on a daily basis, but the hard work of their members of staff who help maintain the zero waste to landfill achievement that the company proudly holds. Our fantastic and insightful tour was led by Peter, Nathan’s Wastesavers’ Recycling Manager. 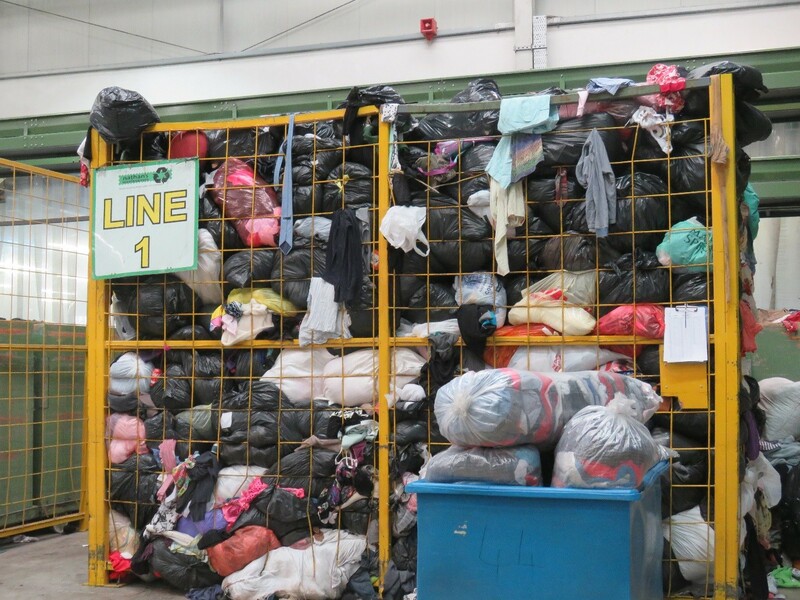 At Nathan’s Wastesavers around 250 people sort and process over 650 tons of textiles per week, with the primary aim and focus to divert any textiles from ending up at landfill. Peter told us that Nathan’s Wastesavers currently holds a 72% reuse rate and a 26% recycled rate. The remaining % of textiles is sold to DOW for energy production. These figures are incredibly encouraging and sets a challenge to all companies, that zero waste to landfill is achievable! What actually happens within the walls of the company, and where do our clothes go? Nathan’s Wastesavers takes in donations made to clothing banks at recycling centers and schools, and buys textiles from organizations and charity shops. Materials that are reused or recycled are then sold onto companies within the UK, and further afield to Africa, Asia and Eastern Europe. This is, ultimately, how the company makes profit with prices dependent on three factors; the value of oil and the pound, and the economic growth of China. Once the clothes have arrived at the center they are processed and divided up by hand into types of clothing or textile. Employees within the ware house work along conveyor belts dividing and sorting up the items, placing them areas divided by final destinations. Peter commented that they employ many Europeans as they have valuable knowledge of what types of clothing, shoes etc. are needed and required within specific countries that the company sells to. This, therefore, helps increase the efficiency of the whole system for both Nathan’s Wastesavers and the companies receiving the items. What happens to the textiles once they have been sorted? Once the textiles have been processed, items selected for Europe, Asia and Africa are transported to Grangemouth to be shipped to their final destination. However, not all goods are sold to foreign organizations. Nathan’s Wastesavers have several deals with local, UK based companies. For example, one specific area of the warehouse is designated to vintage clothing bought in by the company. Items that are identified as suitably ‘vintage’ are separated and, once sorted, sent to Armstrongs Vintage Emporium in Edinburgh, a vintage specialty shop located in the Grassmarket. Nathan’s Wastesavers also has contracts with major shoe companies including Clarks, Dune and Office. They buy in all unsold shoes that are out of season and sell them on to companies based in Europe, Asia and Africa. What about the 26% of recycled materials? Where does that go? Items brought in that are deemed to be too poor in quality to be sold on are recycled! 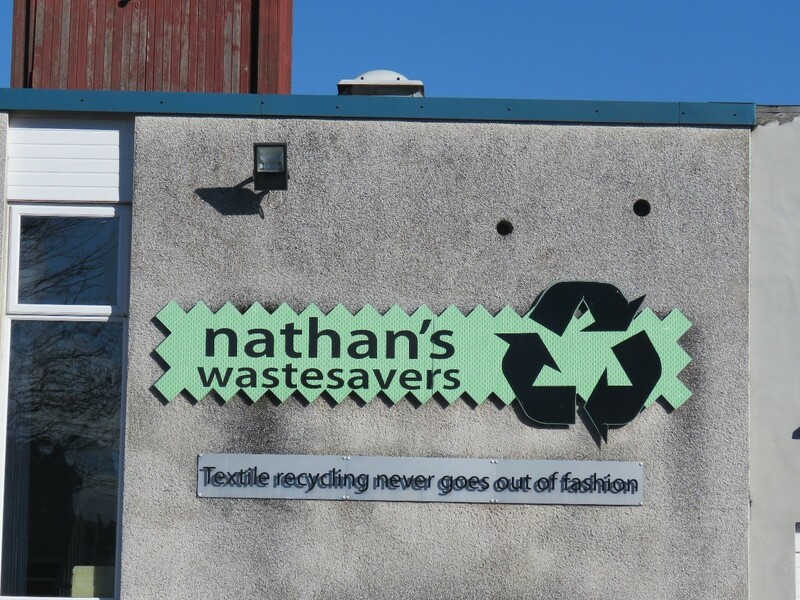 Nathan’s Wastesavers primarily recycles the majority of textiles into cloths, usually used for cleaning purposes. 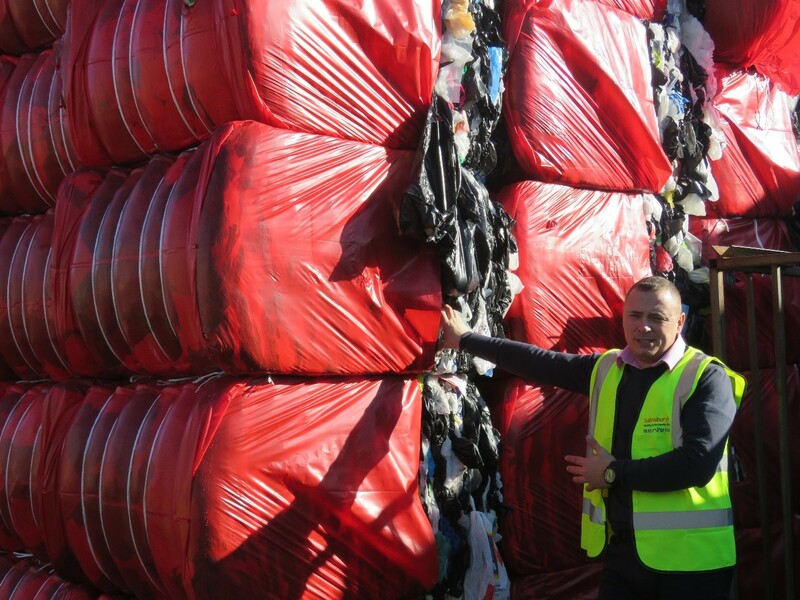 Nathan’s Wastesavers also considers the bags that contain the textiles when they first arrive on site. We were informed that the bags are sold to China to a specific company. Although our tour guide acknowledged the fact that this is not the most sustainable way of recycling and reusing the bags, and that it affects the overall carbon footprint of the process, they sell the bags on to China due to the best prices they are offered by companies based there compared to UK or European companies. This is just one of the problems and concerns the company faces as they strive to a more sustainable future, both within their company and in their external processes and dealerships. 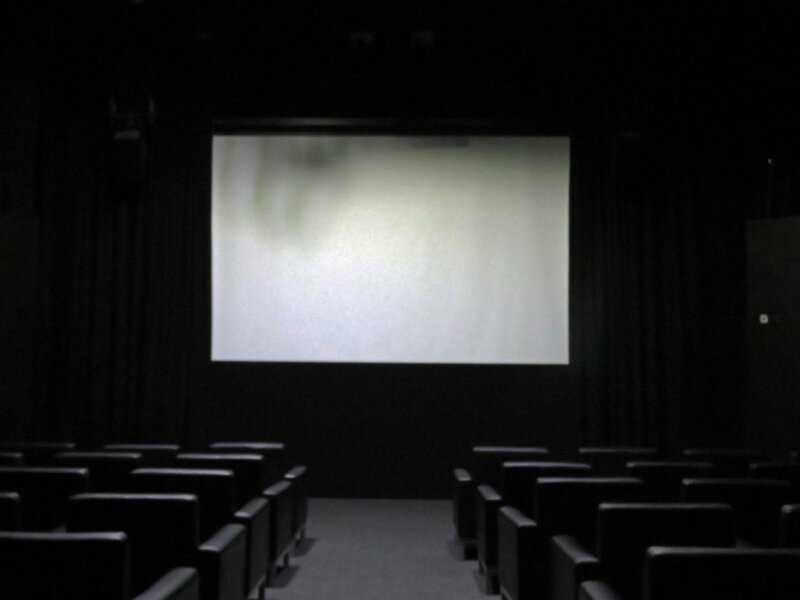 Peter commented on how they can never be sure of what companies exactly do with their items once they have been sold. Is all of the clothing sold on to other companies completely reused, or does some of it end up going to landfill anyway? When asked what we can do to help them, Peter mentioned that the public should put all clothing into bags, whether it be torn, underwear or one odd shoe. He also continued to say that people should only put textiles (and that can include curtains, bath mats etc.) into the bags and not to put in food waste or perishables. This contaminates the clothing making it unfit for processing, and can often cause problems further down the line if not identified early on. 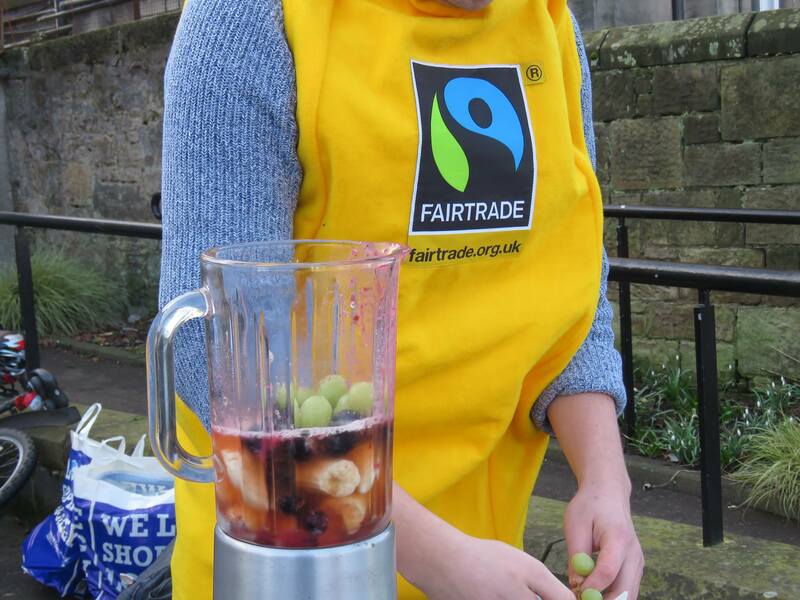 If you would like to learn more about Nathan’s Wastesavers please take a look at their website. Here in St Andrews we have an abundance of charity shops willing to take in any clothes you no longer want! 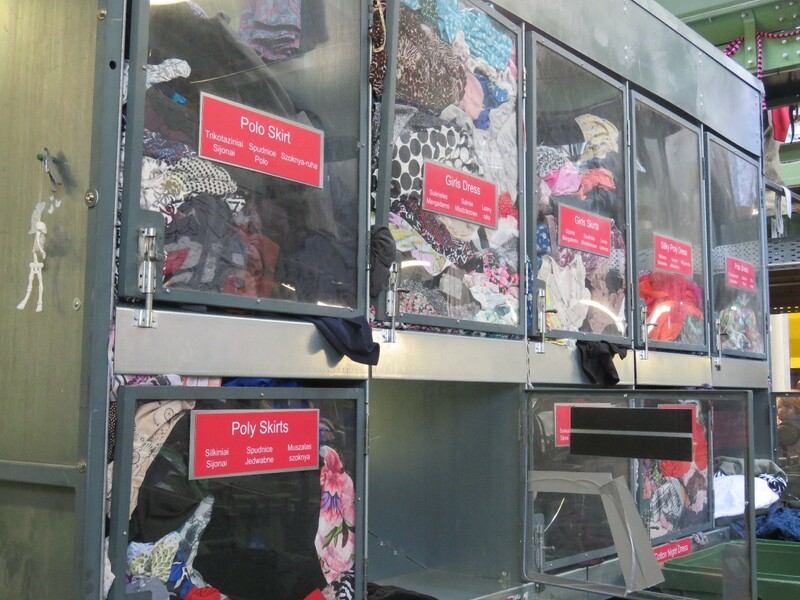 We also have a recycling bank up behind Morrisons where you can drop off all unwanted textiles at.